It will be fun to see if he can win her over and have a few kids. I discovered she was a Musician and thought she would be a great addition to the household for that reason. She was already at the top of the music career and level 10 fitness. So far not a bad thing .... but she really ... really hates children. Crush the dreams of a Toddler? Who does that? Alonso Lew - Outgoing Insane Goofball - previously working as a Mixologist he was unemployed with the Best Selling Author Aspiration. So I set him to work practicing writing and getting him into that career. 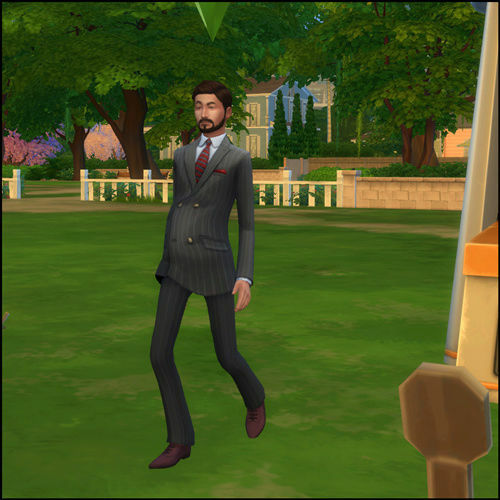 Since Jesse is at the top of the Social Media career he can 'Represent' other Sims which gives them a boost in their careers. Note: There is a situation that I am exploiting for this challenge. Playing with Aging on and Normal lifespan for everyone. That means Jesse will age unless I use Youth Potion (which I do use). Everyone else should also age (except Vampires of course). Now for the exploit part. 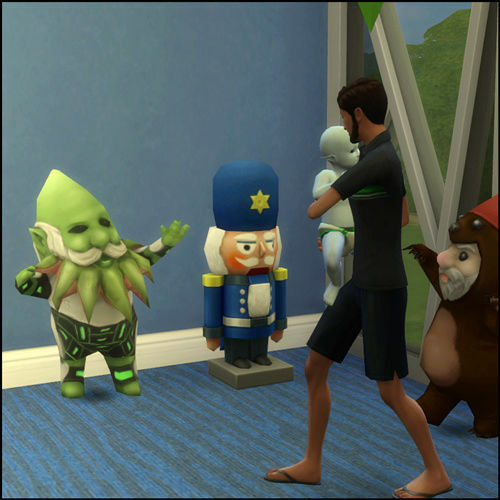 When City Living was released NPCs were created to be city repairmen, landlords, buskers etc. Some of these city dwellers also have hidden traits that for some reason stop them from aging. 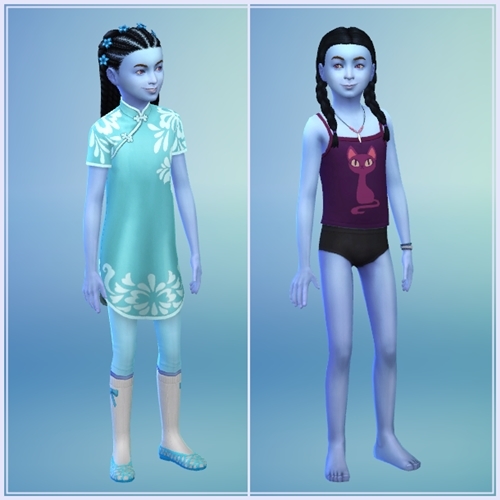 Jesse's roommates Alonso and Houda BOTH must have these traits because they Do_Not_Age ! 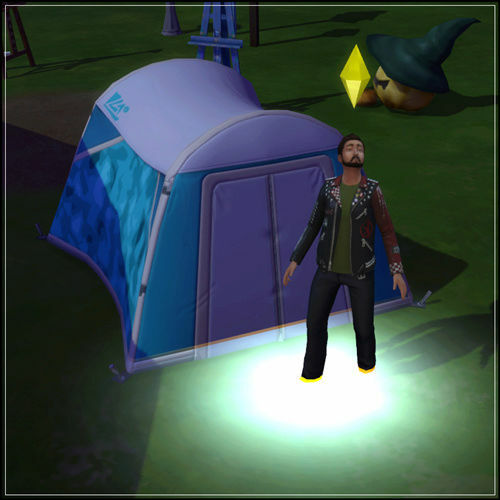 A big plus if you want to keep a Sim around a long time. Oh wow, lol I have never seen that whim. 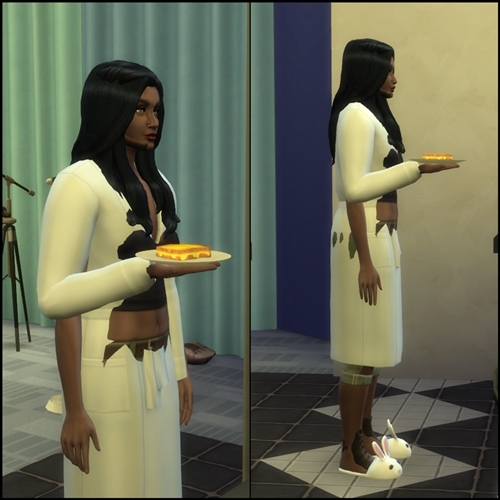 I had my sim doing this challenge to marry a sim, I found out after that she hated children. I made her have a baby anyway. She was tense the whole pregnancy. I haven' played much with the trait so it will be interesting to see how she treats it as it ages. Looking forward to more from Jesse and the gang. I saw he was maxis faved! big congrats! And does he need to take a pee test now? Saw the nomination from Brennachan but did not know it was official. I wish guys could test to see if they are pregnant. So far no symptoms. No scientific stuff on this lot yet. Only played a short bit tonight. Jesse is at the top of Social Media career. He really prefers club activities and socializing. I was thinking of changing his career but do not think he would like that. Houda was already level 10 entertainer with limited skills. Working on Musical aspiration for her. 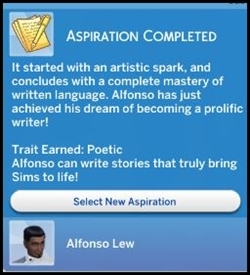 Alonso is writing books for Best Seller aspiration. Jesse can "Represent" him to get promotions faster. Keeping options open for Geek/Nerd Sims for logic related aspirations. And a Bodybuilder Sim since this trio do not stick to working out. Sounds like they keep you busy. I don't normally change careers on them. I let them grow old at the top of their 'game'. 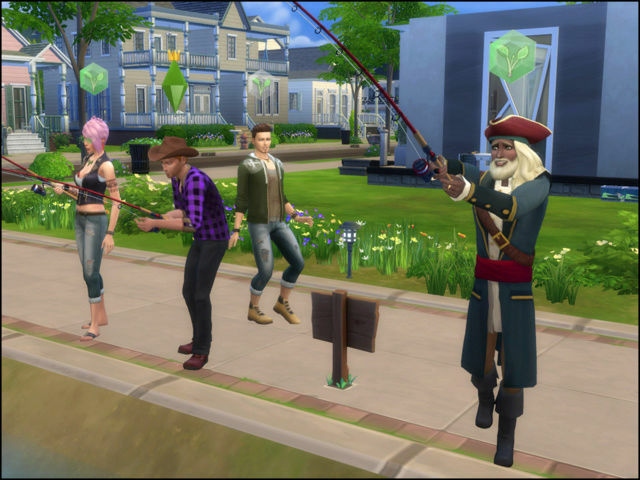 Do sims get to retire in this game version? I can't remember. 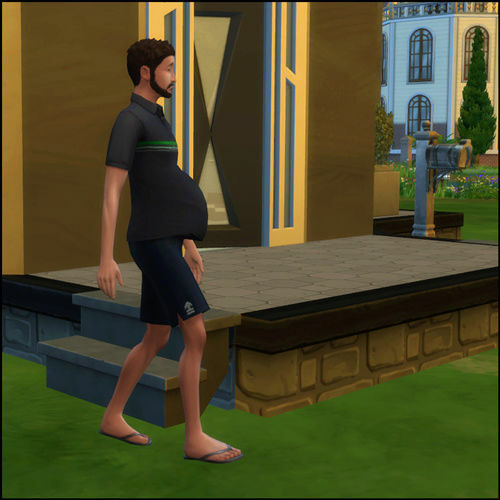 Maybe if he turns out to be pregnant, the spawn can be the body builder. I don't think I have ever seen a big buff and tough alien. Maybe I need to make one, lol. No Alien babies this time. *Note: I added Greyson to a random household and had Jesse meet him before inviting him to move in. 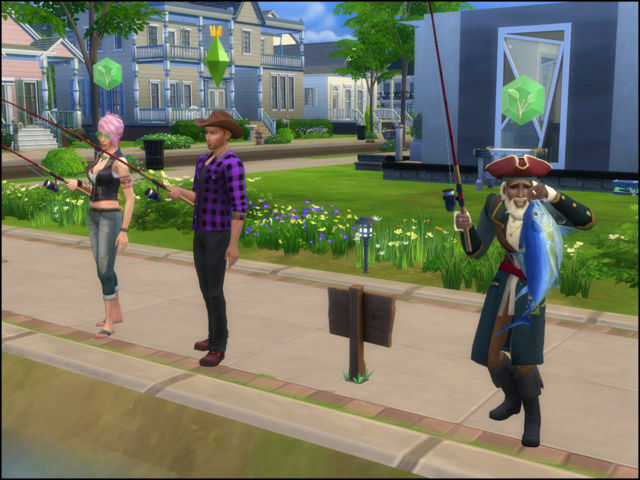 When City Living was released NPCs were created to be city repairmen, landlords, buskers etc. Some of these city dwellers also have hidden traits that for some reason stop them from aging. The patch released earlier this week has corrected that issue. Umm Houda ? Is there something you would like to tell me? Jesse is looking a bit ... pudgy. Must be all that Grilled Cheese. There was the night when he noticed that bright light in the sky. Another alien pregnancy. You have all the luck. 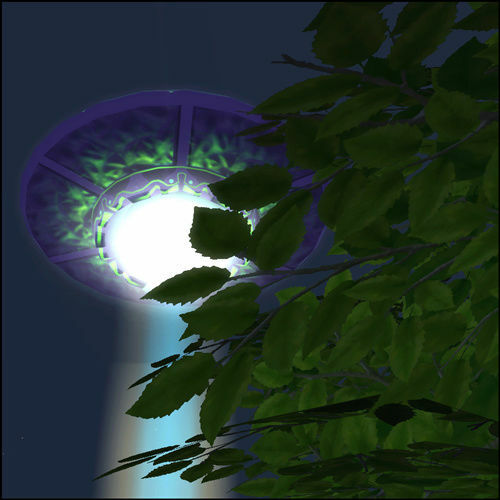 Because Jesse was impregnated by Aliens (yea) I decided it was time for Houda (Hates Children) to move out. 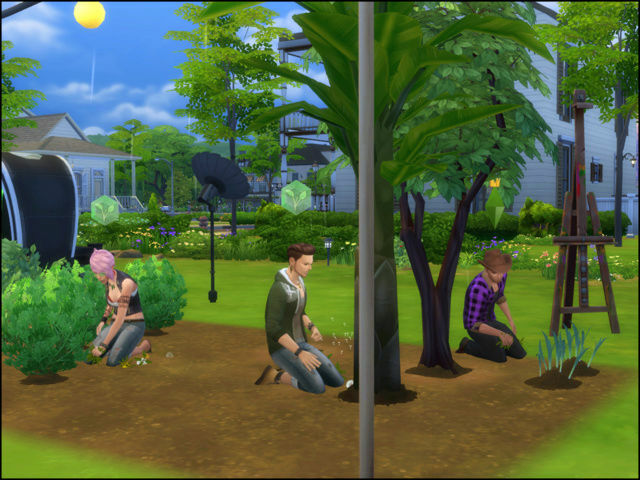 Both Houda and Alfonso completed their assigned aspirations so both were merged with a random household. Electra (Jesse's daughter) is now a child and just earned a "B" in school. Certainly I have more pictures ... somewhere. I have been moving pictures and Screenshots around when playing different saves. They are in a 'safe place where they will not get lost'. Ah, those neighbors sure do look interesting. Electra is adorable.